Very Stout Package Price Reduced!! 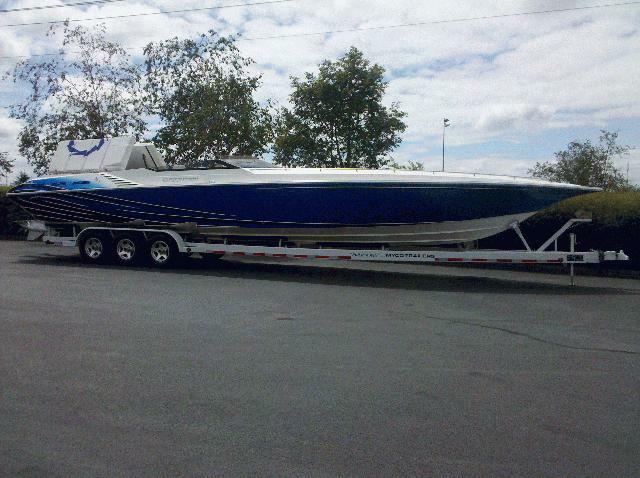 2006 42' Fountain Executioner Staggered 1050 HP Cobras , #6 Mercury Dry Sump Drives , Livorsi Gauges, Stereo w/ satelite antenna, Myco Triple axle trailer, This is a one owner boat Low Hrs less than 50 on Motors, Trans recvently Rebuilt and UpGraded! Very well maintained! Over 600,000 Invested A Great Buy! !